There are many musicians, professional speakers and party DJs that turn to Behringer as their number one option for amplification. What to look for when choosing between top Behringer PA systems. 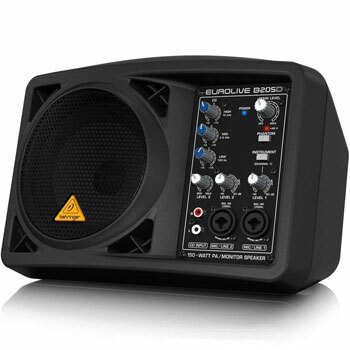 2) Behringer Europort MPA40BT Pro. The brand has many products in a series of ranges that cover different applications, power needs and other important features. The main priority here depends on the purpose of the sound system. If you are a touring musician or speaker, you need to look at the portability of the system. This means features like handles, lightweight casings and the overall dimensions of the product. Those looking to fill a room need to consider the power of the speaker and the clarity of sound. Then there are inputs for microphones, instruments and wireless connections. This first option is the weakest of the three Behringer Eurolive system. But, it is still a multi-purpose system with some great tech. 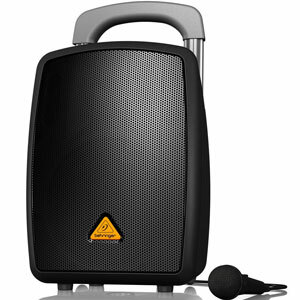 This 150w sound system uses a class-D amplifier, 5.25’’’ neodymium driver and a 3 channel mixer with a 3-band EQ. This means plenty to play around with to get the right sounds on stage, but perhaps not as much power and reach for larger audiences. The appeal with this speaker system continues with the design. This is a great option for solo users, such as solo singers and professional speakers, that want everything in one neat, compact package. This portable Behringer Eurolive B205D PA system is small and easy to manage, with a clear display on the front. This means easy access to all the right knobs and inputs that users need to get started. This is an entry level model compared to some of the others in this guide, but a good starting point. 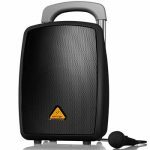 The first noticeable difference here between this Behringer Europort model and the Eurolive PA systems above is the portable design. There is a suitcase-style handle to improve ease of use when travelling between locations. There is not as much power here as there is in some of the models in this guide, with just a 40W speaker. Therefore, it is said to be best for audiences of 250 people. There are also the bonuses that this is battery operated with a 12 hour life, comes with a high quality dynamic microphone, and a built-in mixer. Another selling point here is the Bluetooth connectivity. 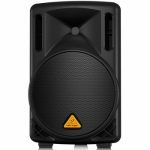 This is why the Behringer MPA40BT Pro system is sold as one that is perfect for parties, schools and educational needs. The Bluetooth connectivity means easy connections to tablets and phones for multi-media work. It is also great for quick access to karaoke playlists. There is a fun side to this model, compared to the more professional options seen in this list. Here we have a larger, beefier cousin to the Behringer B205D above. This all starts with the size. It is a bigger system that immediately looks a little more robust for bigger applications. There is a more powerful system here, with the 200w 2-way sound system, but also many of the same pieces of tech. This includes the class-D amplifier, low power consumption and sound clarity. Despite all this extra power and tech, this is another lightweight option for portability. Many of these top Behringer Euroline models have lightweight constructions and integrated handles to make them easier to use. This one can be used on its end like a normal speaker, or on the side like a floor monitor, depending on the circumstances or user preferences. This should all mean that this system is a great option for those that want something simple, but not too basic. This model takes things up a notch from the Behringer Europort above. The main difference here is the fact that there are 2 speakers, rather than one. This dual speaker set up means great projection of what they call a “studio-grade” experience. There maybe more to carry around and set up, but it could provide a more professional edge for those that want to enhance their set-up. 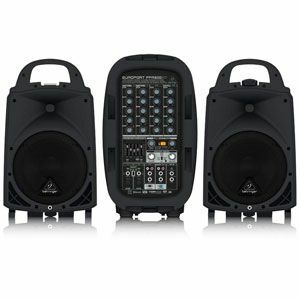 These powerful Behringer EPS500MP3 PA speakers also come with a 500w mixer that is detachable for each of use. Users can play around with different inputs and settings, including the reverb. Despite these changes, there are similarities to the model above with the integrated MP3 player. This additional feature provides a sense of accessibility for users with different musical needs. Therefore there is a wider demographic of users that could see some potential in this product. It is perhaps best for musicians, but by no means limited to them. For this most part, this model is pretty similar to the previous top Behringer PA systems in regard to the technology on offer. This Behringer Eurolive range is clearly focused on the ideas of smart, clean sound. There is the same class-D amp tech, the low power consumption, integrated sound processor and speaker protection. However, as you may expect with the progression of this range, there is more power in those 2-way speakers. This set up has a 550W system with a 15’’ woofer and 1.35’’ compression driver. Again, while this Behringer B215D is a bigger, beefier option than some of the models here, there is still versatility in its purpose. 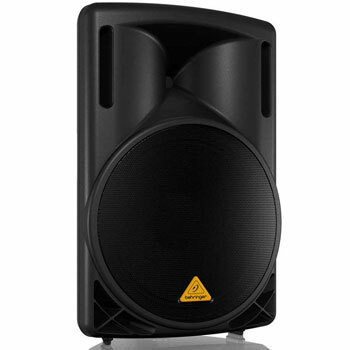 It can lie on its side as a floor speaker but there is also a pole socket for stand mounting. There is also a 2-band EQ system, the promise of deep bass and potential for those in different professions. 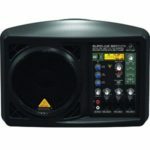 Choosing the best Behringer PA system for your needs. The models above may look pretty similar on the outside – as many PA systems do – but there are subtle differences that affect their purpose and performance. The first is the power offered and the ability to fill a room. There is a clear progression in the Behringer Eurolive range, with the models offering better tech and power for larger rooms. The Europort models go in a different direction with user-friendly features for connectivity and portability. This makes them the party devices, offer the more professional Eurolive range. 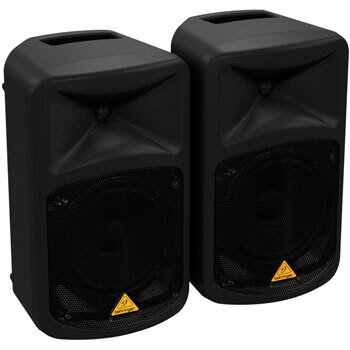 Whatever your needs and situation, make sure to compare the specifications of these top Behringer PA systems carefully. Find the one that will fill the space, offer the right inputs and is easy to use.